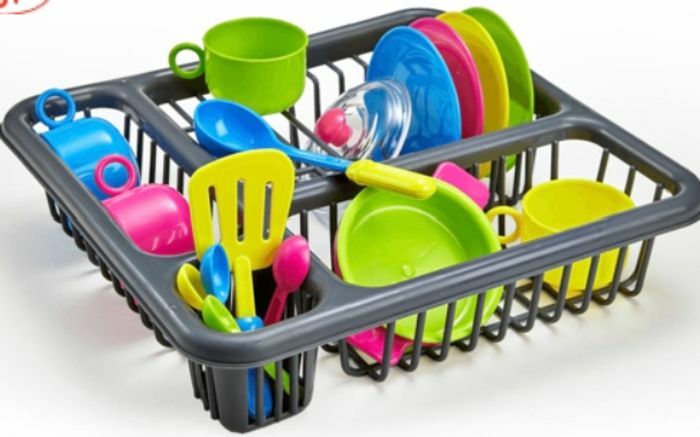 Kids imagunative kitchen play set. Suitable from age 3 and up.
" Lets do dishes" set draing boar, fish slice, plates and pot with lids.